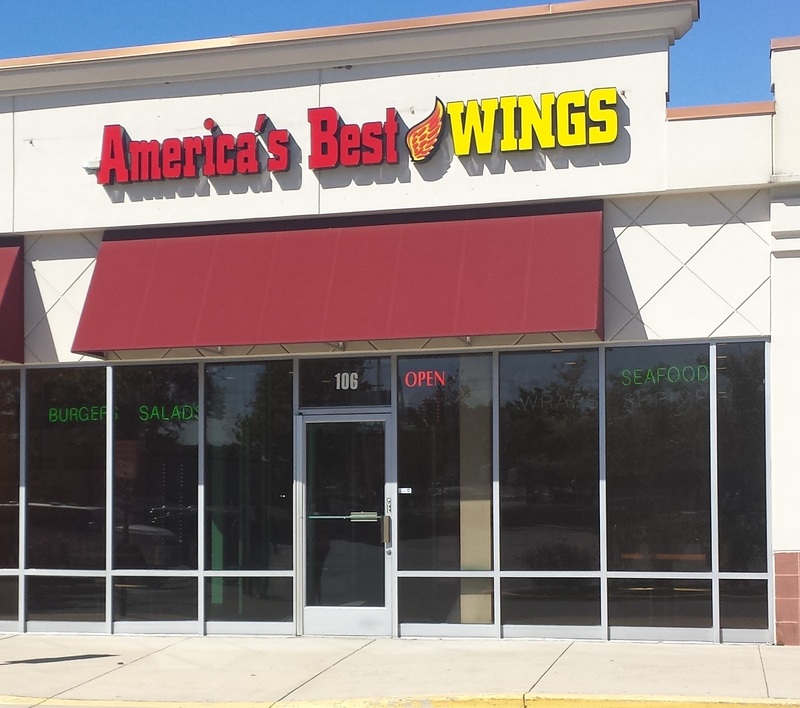 America's Best Wings? Or at least Bowie's best wings? Maybe. In my review of Wingstop a couple of months ago, I remarked that Bowie now seems to have too many wings places. For ill-defined reasons, however, America's Best Wings has become my favorite. The first time, I split my order between their medium and hot wings. Memo to self: you're over forty now, skip the hot wings. The second time, I decided to branch out a bit. They advertise 30 flavors, so I went in planning to split between Old Bay wings and something else. But then, I saw something that's not on their web site (medium isn't on there either) -- crab-flavored wings, and suddenly Old Bay seemed like going halfway. I split those with some honey mustard wings, and enjoyed myself. Crab wings are ridiculous, so I probably won't have them again, but it was an entertaining experience. I can muster no enthusiasm to try their non-wing based offerings. 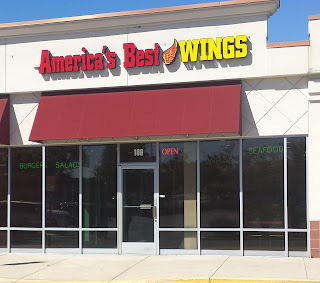 So, maybe it's the fact that I can pick up wings on my way to work (if I'm headed to work after 11), or maybe it's the 30+ flavors, but I hereby decree America's Best Wings to be Bowie's best wings, and award them 3.5 stars. Update 1/4/16: I like this place more and more each time; I'm upgrading them from 3.5 to 4 stars.